Back in September of 2012, Marc and Jeff began plotting a flavor assault on the 831 area code that would finally allow Marc’s fine brews to be consumed on location, at the source. Not any run of the mill menu would do his artisan craft ales justice, so we decided in order to keep the integrity of his brews, we would have to do what no other brewery, tap room, or deli in the area was doing. Thus giving birth to the Sando! Jeff brought over 14 years of restaurant experience to the Ale Works and spent months developing a menu that would compliment the same high standard, passion and commitment and decades of experience that Marc was already putting into his beers. 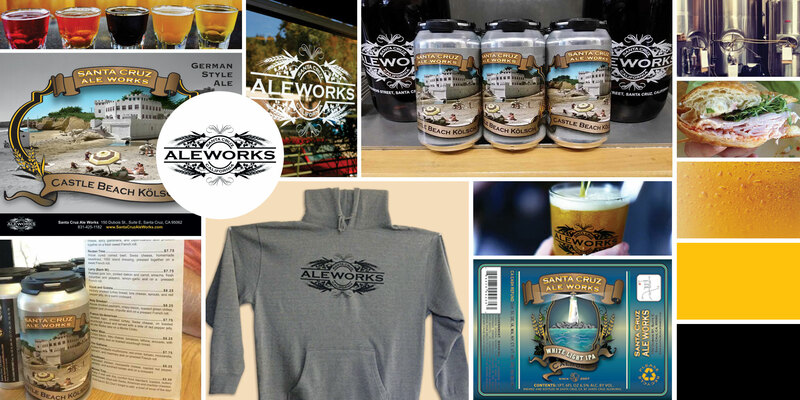 We love working with the folks at Santa Cruz Ale Works. First of all they make delicious beer and secondly they let us work on fun projects. Next time you visit them, make sure you try the “Brooktown” sandwich. You won’t regret it!